PSA/Peugeot-Citroen plans to increase its global presence and expects a new sales record this year. 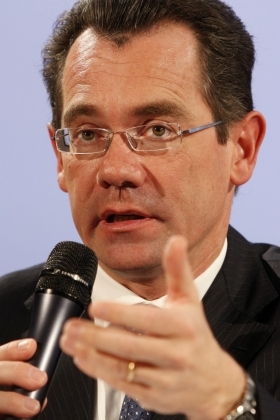 PSA brand boss Jean-Marc Gales said the French automaker will sell "significantly" more cars in 2011 than the 3.6 million it sold in 2010. "It will certainly be more this year and we can celebrate our next all-time high," Gales told Automotive News Europe in an interview. PSA expects to move higher in the global ranking of automakers in the coming years, Gales said. In 2010, PSA ranked No. 7 by new-car sales, one spot higher than in the year before. The Peugeot brand was No. 8 and Citroen was No. 13. 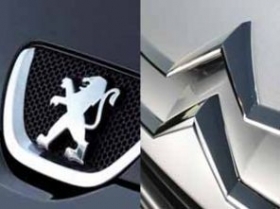 Gales said Peugeot will grow more strongly internationally than its sister brand because it will be given precedence in markets such as India and Iran, where Citroens will not be sold. "We want to land in seventh place with just Peugeot by 2015," he said. "In contrast, Citroen is stronger in China and is now in its second joint venture," he added. PSA, which has 16 manufacturing plants worldwide, plans to further increase its production capacity. Annual production capacity at the company's joint venture factory with Dongfeng Motor Group in China may be expanded in the next five years to 800,000 units, making it PSA's largest global production plant, Gales said. PSA has already announced plans for a second joint venture in China with Chang'an Automobile Group. In addition to a new 125,000-unit factory in Kalgua, Russia, the automaker is looking for a location for a new factory in India that could also be used to build cars for export, Gales said. PSA has no plans to close any of its European plants. "We need all our factories in Europe and we will increase their utilization. In 2008, our utilization was at just 81 percent. In 2012 we're planning on an improvement to 105 percent. That's because Europe is our home market and will always remain an important market," Gales said. Gales: "We need all our factories in Europe and we will increase their utilization." PSA plans to increase its global workforce, which was 198,000 in 2010 with about 162,000 employees in Europe. Said Gales: "In China alone we have 17,000 employees, of which 11,000 work for our joint venture with Dongfeng. We will significantly expand our employment outside of Europe to support our development in new markets. We are also hiring in Europe, with 4,000 new jobs in France this year, for example." PSA is boosting the fuel efficiency of its cars to gain a competitive edge over rivals, including the introduction of fuel-saving stop-start systems across the entire model lineup. The technology reduces fuel use by up to 15 percent per model. By 2013, PSA want to sell 1 million vehicles equipped with stop-start. Added Gales: "For 2012, we have resolved to sell more than 1 million vehicles that emit less than 120 grams of CO2 per km. Last year, the figure was 720,000 Peugeots and Citroens." PSA will also expand its model portfolio with an SUV targeted at the Toyota RAV4. The company plans to sell 50,000 units a year of the new model, which will be sold by Peugeot and Citroen and is based on the Mitsubishi ASX.